You won't believe this list of the strangest things people have left in their laundry and dry cleaning! 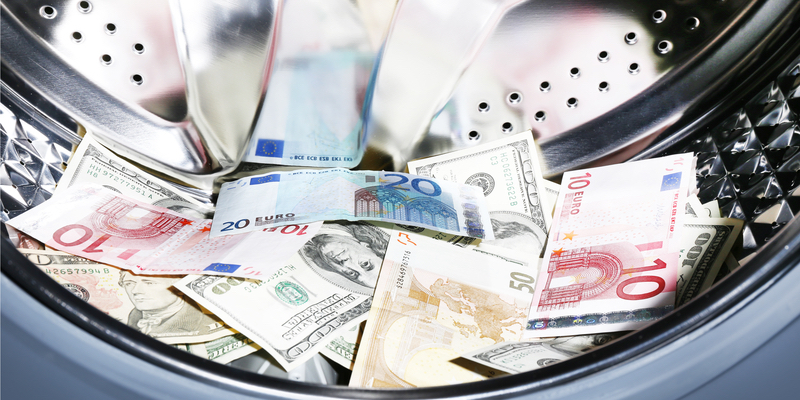 How many times have you loaded up and then started your washing machine, and you only remembered you’d left something in the pockets after its finishing spin, or even worse – after you found that something thinking, ‘Oh no! I left it in the trousers!’ No? Never? Not even a cat¹?! Well, if you are a male and don’t belong to the 58 per cent of other British men who have no idea what all the different settings and buttons on their washing machines are², then you never had a situation like this, because unofficial sources suggest that among the most bizarre (read, not suitable for washing) things that have ever been left in their washers are jewellery, sunglasses, lighters, pens, felt markers, and the regular junk-drawer variety stuff – from lip balm to pocket change. Ok, forget about checking the pockets of the clothes before dropping them in the washing machine! It slips many people’s minds, naturally! But what about dry cleaners? There are also embarrassing items people probably wish they hadn’t left in their pockets: ahem, “back massage devices”, tampons and, of course, birth control devices. Our other VERY weird favourites? – food, e.g. fruit and veg, packs of sweets and bickies, and even a lobster (!) – to be honest, we’d be very disappointed if we lost our lobster, too!? – lingerie in the pockets of men’s suits and blazers – believe us, we don’t even want to imagine the reaction of the wives who come to pick up their husbands’ dry cleaning? 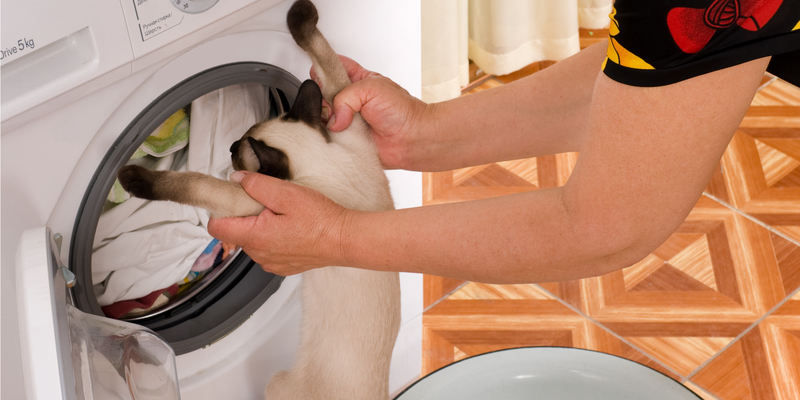 ¹ Why cats jump into front-loading washing machines and tumble dryers is still unknown. Unfortunately, many die but nobody keeps statistics on cat injuries sustained when going though a spin cycle. ² The study conducted by household appliance manufacturer Indesit revealed that more than half (58%) of British men ‘can’t use a washing machine properly’ because they find the household appliance ‘confusing’. According to the research, 16 to 24 year olds are most reluctant to do their own laundry, the most popular excuse being not knowing what buttons to press (40%); another 25% can’t even figure out how to switch it on; and another feeble explanation being ‘women are better at doing laundry’ (24 per cent).